A stark thriller from the author of the Twilight series in which an ex-agent on the run from her former employers must take one more case to clear her name and save her life. ...basically a gender-flipped Robert Ludlum novel ... Meyer’s sympathy for femininity, and for passivity, is part of what many critics hate about the Twilight books. But it gives her an unusual ability to turn genres inside out ... Spy fans can be assured that in most respects, The Chemist functions in much the same way as a Bourne or Bond story, complete with mounting body count, cool explosions, stakeouts and betrayals. But changing the proportion of gender in the genre gives the concoction a renewed, and welcome, rush. ...an engrossing new novel ... Meyer’s heart is still in Forks, Washington, despite the change of genre. Her millions of readers will be happy ... There are a hundred objections you could make to The Chemist. Its biggest twist is visible from space. It’s full of the same daffy blitheness toward blood and pain that always made the Twilight books unsettling, at least to me. Alex’s foes within the government never quite come into focus in the third act, one lesson she didn’t take from Baldacci or Child. But Meyer is also just a really good storyteller. 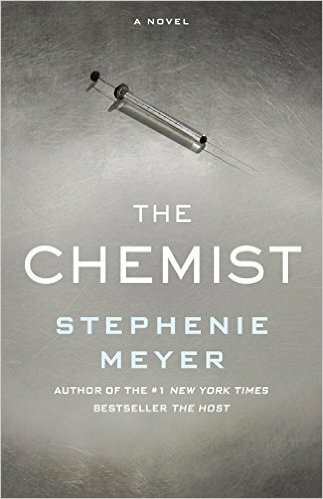 The Chemist is consistently fast-paced fun. The author spends paragraph after paragraph detailing Chris’s system of keeping herself safe and untraceable. It’s such an exhaustive list that after a page or two, it felt like parody ... Meyer is more concerned with storytelling than writing ... Minor characters are two-dimensional, more like in big-budget movies. Somehow she buys into her tales so much that you do too. It doesn’t matter that she uses the same adjectives over and over ... It’s not the Great American Novel, but it is Meyer. What did you think of The Chemist?